Just over two decades ago, Donington Park was the venue for a historic race meeting – the first ever World Superbike Championship round. This was the beginning of a series which today is one of the most prestigious championships in the world, commanding a global audience and still producing spectacular racing. Now you can experience the pulsating action as the World Superbike Championship bursts into life. Duke has released extensive highlights of this historic meeting, never previously available on DVD. Not only was this history in the making, it was also a scintillating race meeting which saw a battle to the very last lap for honours. 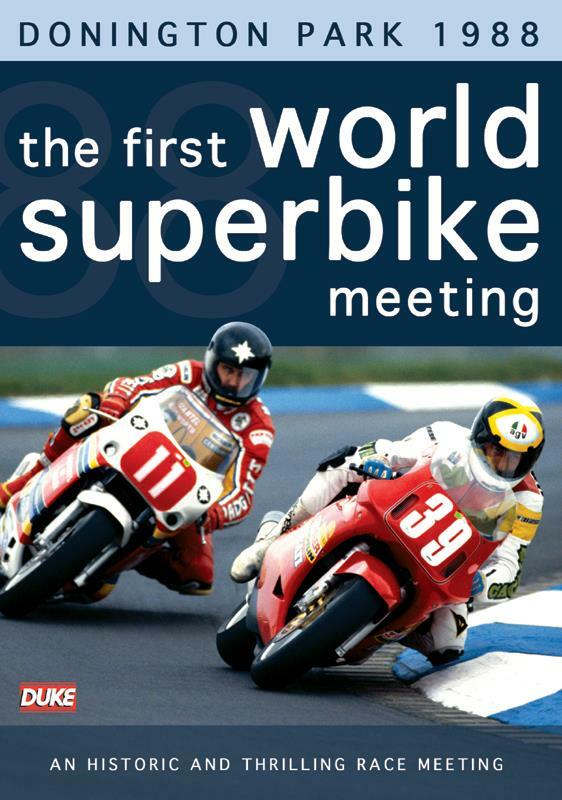 The First World Superbike Meeting Donington Park 1988 is Out Now on DVD, priced at £15.65 and will be available from leading video outlets or direct from Duke Video: Tel 01624 640 000.